So Christmas is over, kids are still home from school and it is cold outside…what to do? 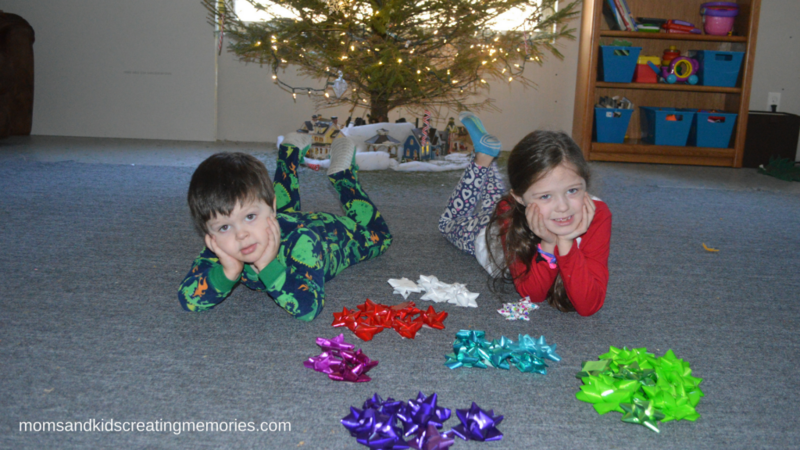 If you have some paper and some gift bows you can easily do a few easy after Christmas activities with your kids inside. 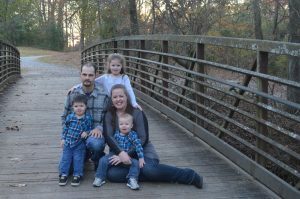 These are probably geared toward about three years and up, but there are parts that younger kids can be a part of as well. So, this morning my kids were bored and so I pulled out the bag of gift bows that I picked up after Christmas on sale. I had them seperate all the bows into piles of colors and count how many of each color there were. This part is best for a little bit older kid like my six year old but my two year old was able to participate with help from his sissy. My one year old on the other hand couldn’t really do it so I put him in his high chair for a little while so they could work on their colors. 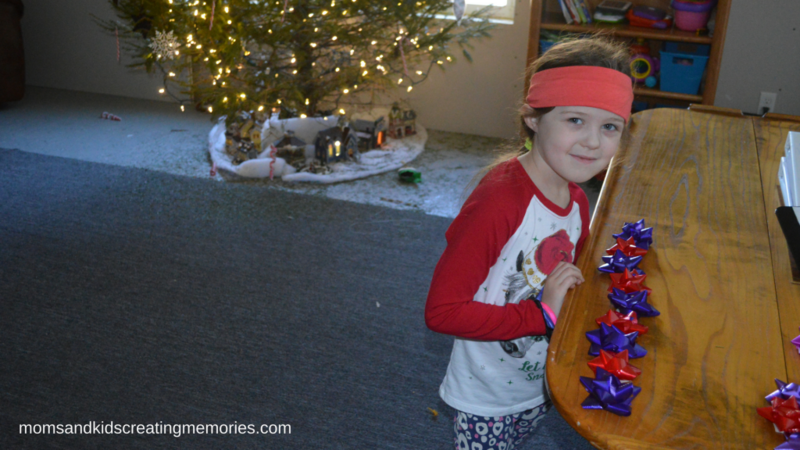 When they were done making piles of colors I had my daughter make patterns with the bows. I worked with my two year old and made some patterns but if you don’t have time to do this you could just let them play with some on their own. 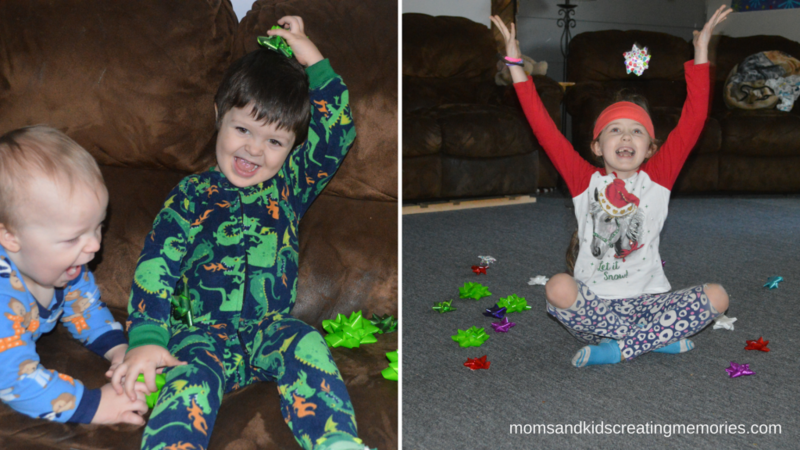 After doing some fun learning activities with the gift bows I let the kids just play with them, throwing them in the air and just having some fun. My one year old definitely enjoyed this part of the activity. 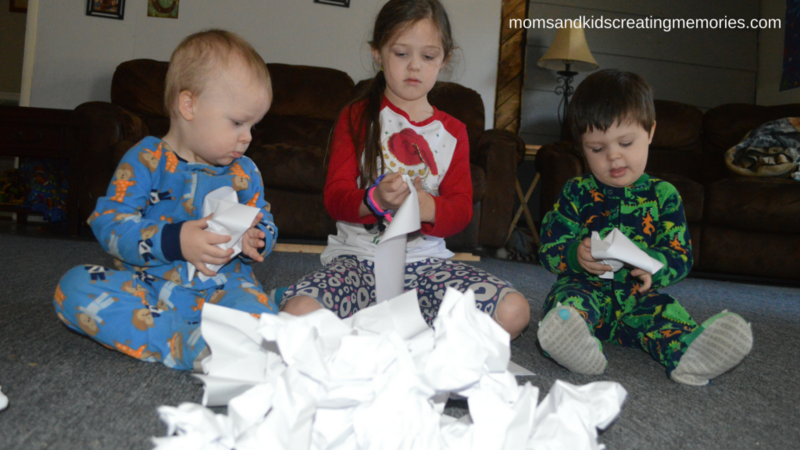 Another easy activity you can do only requires some paper and maybe some plastic cups. 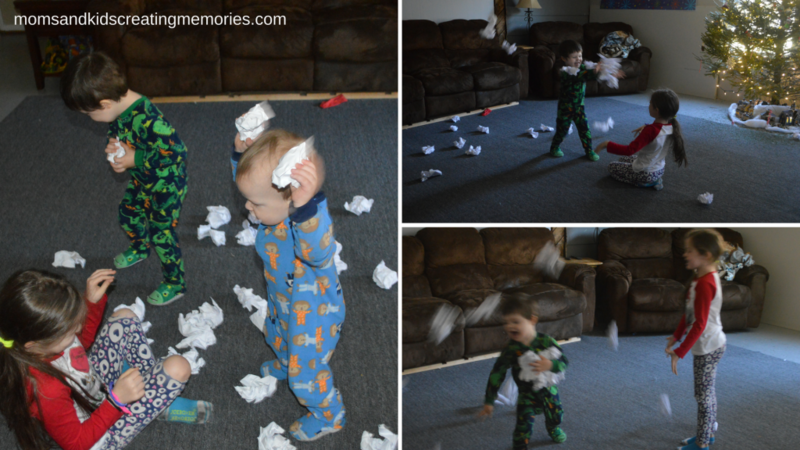 Give your kids some white printer paper and let them scrunch them up and make them into balls. Once you have a pretty good pile of “snow”balls you can let the kids go to town having a “snow”ball fight. You could also do a simple game, if you have older kids, where you put a line in the middle of the room and they try to get all the “snow”balls onto the other side of the line. When you tell them to stop you count to see who has the least amount of “snow”balls on their side of the room and that team “wins”. 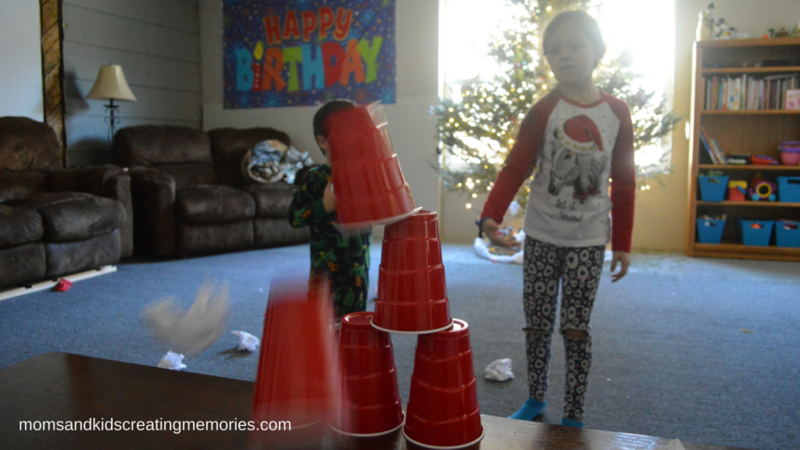 After your kids have had some fun with an indoor “snow”ball fight you can give them some plastic cups. Have the kids stack them up into a tower and have them see if they can knock down their tower with their “snow”balls. 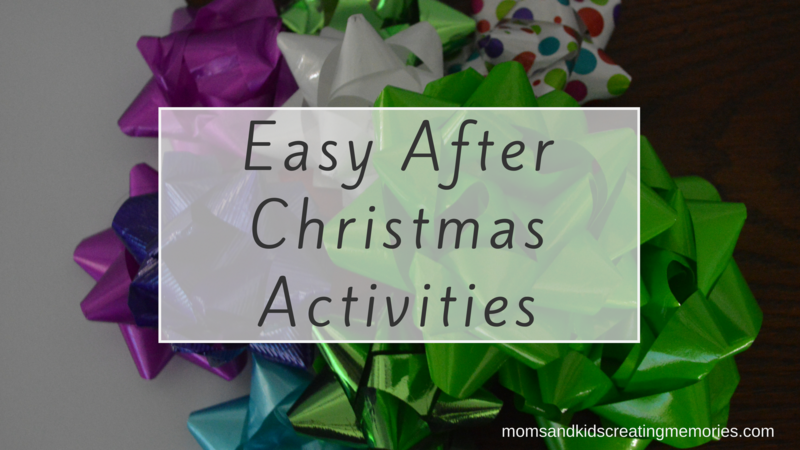 So I hope you enjoy a few simple indoor activities to do after Christmas. I would love to see what some of the ideas you or your kids come up with to add to this activity, so comment below. 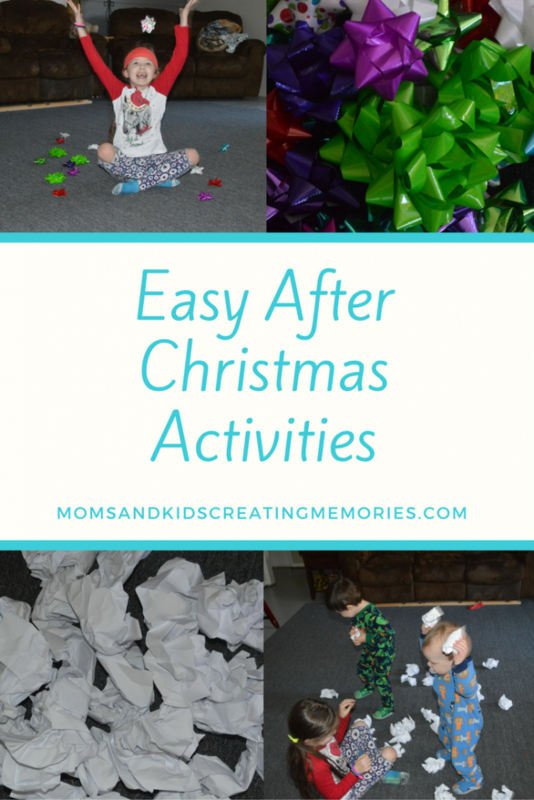 If you are looking for some other fun things to do with your kids while they are on break check out this post that gives you a variety of different crafts and activities to do with your kids even if it is after Christmas. 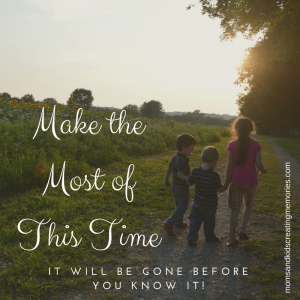 Enjoy this time with your kids because before you know if they won’t be little anymore.